Below is an email I wrote when I was on my trip to Israel in May. It had been about five days since I contacted anyone back home and I wanted to join my traveling friends in swimming at the Sea of Galilee on our first free afternoon, but the Lord had other plans for me. I hope you enjoy this little message as you imagine what some of my Israel trip experience was like. First, we all made it to Israel safely! I got a little air sick at the end of the first flight, so that wasn’t very fun, and we practically had to run across the London airport to make our second flight, but, we made it!! For now, I will skip over the activities that we have done for the past few days and focus mainly on the last 24 hours. 🙂 However, I will note that we have already done a lot of traveling across northern Israel! Israel is actually much bigger than I thought!! And absolutely beautiful!! Yesterday, on our bus ride through northern Israel (a.k.a. the finger of Galilee), I decided to share with the group a passage of scripture, Joshua 9:9. This was something the Lord had revealed to me just a few days before our trip, and it was very fitting in light of coming to Israel. (See related posting about this here.) Everyone loved it! Then, later that evening, we arrived at our Kibbutz on the Eastern shore of the Sea of Galilee. The Sea of Galilee is amazing!! After our first dinner here at the Kibbutz, we saw a beautiful sunset beyond the mountains by the sea. Our Kibbutz here is super cute!!! We have the most amazing view of the Galilee area and last night I enjoyed the cool sea water with friends. 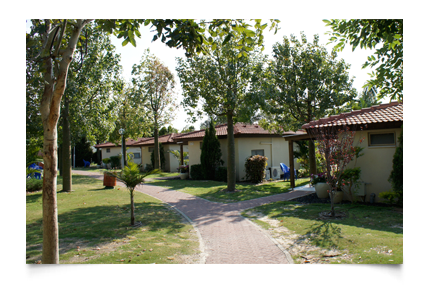 Cottages at our Kibbutz at the eastern side of the Sea of Galilee. Wow, to think we are walking on the very land that the Lord our Savior walked. The Son of God was here!!! This is the water He walked on! This is so awesome. I have hardly been able to sleep, as my mind won’t leave me alone, but regardless, I am full of energy!! 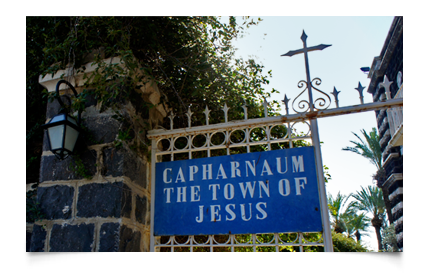 Today, we visited Capernaum just to the north, overlooking the Galilee. This was known as the town of Jesus. Jesus did much of His ministering here. Professor Shockley gave the most amazing devotional covering the three things that Jesus said to His disciples in Matthew 16:24 – 1) Deny yourself, 2) Pick up your cross and 3) follow Me. 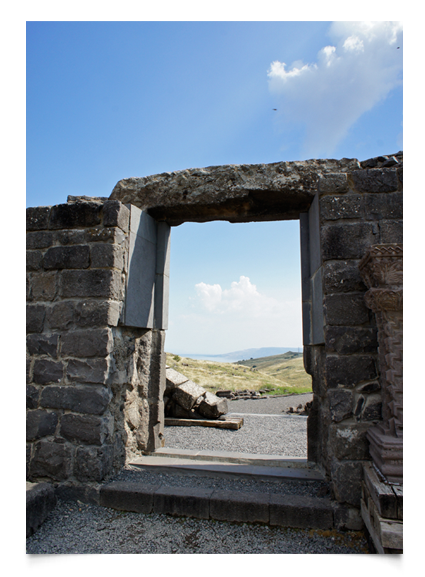 Entrance into Capernaum. We were blessed to get here early and soak in the area. Synagogue at Capernaum. The lower stones are of darker color and are from the first century (Jesus time). 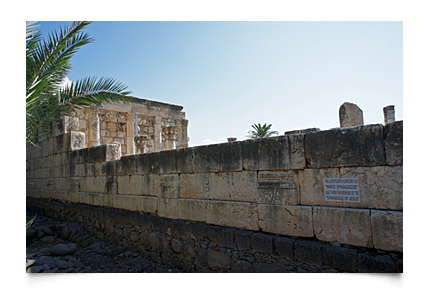 Around 4AD, another Synagogue, represented by the lighter stones, was built on top of the ruins of the first one. After that, we went to see an ancient boat that was recovered from the bottom of the Sea that is said to be from first century (Jesus time!). Awesome. Then, our group went on a boat ride through the Sea. We sang worship songs and danced to Jewish music. Professor Jackson gave an amazing devotional to us at this time. He spoke from Mark 4:35-41 about when Jesus was asleep at the stern of the boat and the disciples were freaking out because of the winds and the waves. The disciples wake Jesus up and then Jesus commands the winds and the waves to be still. At that point, the disciples became even more fearful!!! Think, the disciples were already fearful because of the storm, but now they were even more fearful because they just witnessed Jesus calm the storm! He performed the miracle and the disciples said… “who is this man that even the wind and the waves obey Him???!!! !” Even though the disciples had seen Jesus do many miracles already, they still did not realize Him to be God. 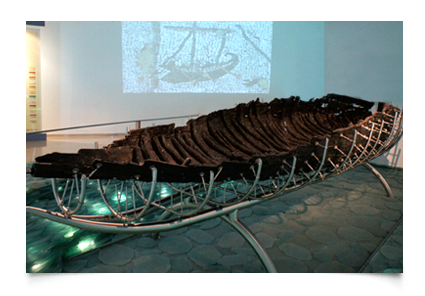 This is the remains of the ancient boat preserved at the bottom of the Sea of Galilee dating from the first century. Jesus was most likely on a similar type of boat. 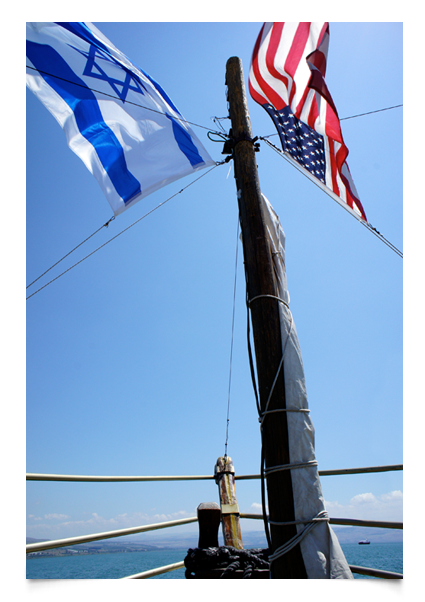 Israel and U.S. flags fly together on our boat on the Sea of Galilee. After this, we stopped for lunch. 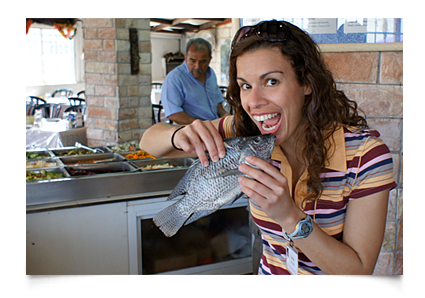 We ate whole fish – head, tail and all! Fresh tilapia from Galilee. We also had fresh dates and soothing mint tea. I picked up this fish from the sample plate thinking that it was a fake, but it was real! Then, off we went to visit the Mount of Beatitudes. Jesus spoke to thousands here. But, how does a man speak to thousands without a microphone or being in a theater? Good question. The way that land around the Sea of Galilee region is structured, created a natural “theater” shape where many could hear him. Wow, God wants His Son to be heard and He creates the natural setting for it! Here we had another devotional. Then, we went to the ancient ruins of Chorazim, a city that Jesus condemned because of the people’s hard hearts and unbelief. Luke 10, Matthew 11) Here our group member Kurt, gave an awesome devotional about reaching out to those that God has already prepared to receive the Gospel. Synagogue at Korazim. The ancient ruins still show that in looking out from the entrance, the land forms a valley. In the far distance would be Jerusalem. Lastly, as we headed back to our Kibbutz, we stopped at the Gerasenes. This is where the demoniac was, Mark 5. The demons inside the man recognized Jesus saying, “Have You come to torture us before the appointed time?” Jesus then cast the demons out into the herd of pigs that rushed down the steep valley and died. To this day, you can still see the hoves from the dead pigs!! LOL, I’m just kidding!! Jesus only had to say one word, “Go” and the demons had to obey. Funny how even the demons recognize the Son of God, but the people (even the disciples from Mark 4) did not. Country of the Garasenes where Jesus cast demons into a herd of pigs. The first “deviled ham.” LOL! So now, after this email, I am going to join my travel buddies along the Galilee. They say the sea is warm, but those who say that, haven’t been to the Gulf of Mexico!! Haha. It is 5:15pm on Sunday here. Tomorrow, I will be baptized in the Jordan by Professor Jackson. I am so excited!! Love and blessings to you all from the land of Israel! !